Going on a fishing trip is all about bringing home the fish. They can be fun and relaxing, but your main drive is to bring home all the fish you can catch—more than you ever thought possible. Though this seems like a far-fetched tale, it can be a reality. Enjoy the thrill of salmon fishing AND bring in the fish like never before. 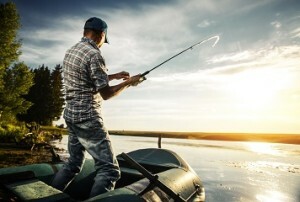 If you want to get all you can out of a fishing trip, then there is really only one way to do it: guided fishing trips. What better place to go fishing for salmon than in British Columbia—the fishing lodges are beautiful and the location is perfect. There are many benefits to going on a BC guided fishing trip. You no longer have to worry about hooking up or unhooking the boat, taking care of the trailer, making sure that all the gear is there, or that you have the right bait. When you go on a guided fishing trip, all that is taken care of for you. All you have to do is show up ready to fish. On a trip like this, you don’t have to worry about all the little details—the guides do it for you. Along with beautiful accommodations, your entire trip will be one of luxury, and, of course, fish. Fish with knowledgeable guides who can help you get the right lures, bait and location to optimize the chances of catching fish. These guides are dedicated to one thing: filling the boat. Spend time on the water knowing you will have a successful trip and a great experience. It can be hard to share your love of fishing with a spouse, child or a friend when the trip turns out to be unsuccessful. A guided fishing trip is the perfect solution! A trip like this is a great way to light that passion for fishing. Fishing is always more fun when everyone is enjoying themselves. Last but not least, the best part of any guided trip is the fish. 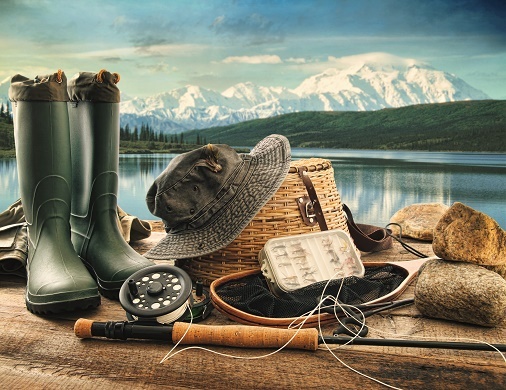 There is nothing more disappointing than taking a fishing trip and coming back empty-handed. Spend your entire day reeling them in and showing them off. When you fish for salmon on a guided fishing trip, that is exactly what you get. Don’t let the hassle or frustration of an ordinary fishing trip get in the way of having the fishing trip of your dreams. Experience the thrill of a guided chinook salmon fishing trip and bring home the salmon. Don’t keep the fish waiting!